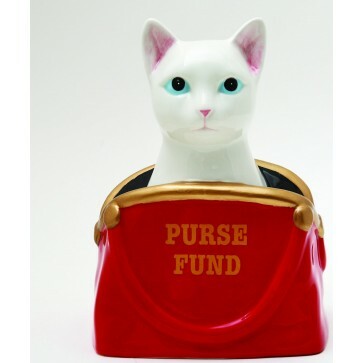 Cat Ceramic money bank. H: 6 1/2". Love is a four legged word! Love Cats? Get the 6.5" Ceramic Cat Bank. Purrfect for adding change to your purse fund!